PROPERLY LOAD MAX CAPACITY 1,200 LBS. TO SAFELY TOW THIS TRAILER, BUNCE RENTAL REQUIRES A MINIMUM TON VEHICLE OR LARGER WITH A 133 WHEELBASE AND A RATED TOWING CAPACITY OF 3,500 POUNDS OR MORE REGARDLESS OF WHAT YOU ARE PLANNING TO HAUL. YOU MUST HAVE A 2 RECEIVER TYPE HITCH (2 BALL) IN GOOD CONDITION AND HAVE A RATED CAPACITY OF 3,500 LBS OR MORE. LARGE SUV MAY BE USED FOR HAULING. Trailers are for use in the Pierce County area only. 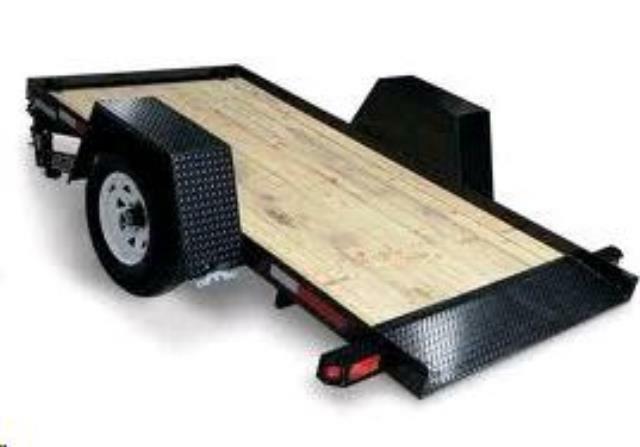 * Please call us with any questions you may have about our trailer small equipment rentals in Tacoma WA and Puyallup WA, serving the South Sound.